TENDER tender roast beef sandwich! The sandwich was enough for two sittings. The au jus is NOT separate for dipping therefore the sandwich is a bit juicy (aka a little messy); however, when I went to eat the sandwich later in the afternoon it was NOT a soggy mess but just as yummy as the first bite! Great sandwich, meat was tasty. AU Jus was good. Coleslaw could use some more dressing but it was tasty. I really liked the sandwich, some of the meat was tough. I'd suggest cooking your meat to medium, it will continue to cook sitting on the steam table. Very satisfied.I will visit again. First time trying a Chicago-style beef sandwich from a DC food truck...and it was a winner. 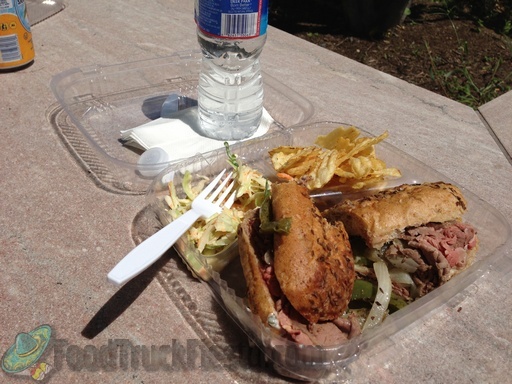 Great, zingy giardinere and a very good soft roll, and plenty of tender, savory sliced beef. Friendly, eager service too. I'll gladly go back to try the other varieties soon! Had the beef sandwich. It was excellent. It was soggy (dipped in au jus) but that was the best part, it reminded me of my favorite Brooklyn roast beef sandwich at Brennan and Carr. Added Provolone, it was very sharp, just like the cheese at Taylor Gourmet. This truck is very good. The Beef sandwiches and toppings are great. Gelato is outstanding. it's a little at $12 for a combo with a drink, but at least you get a good amount of food for it (big sandwich, chips, coleslaw, drink). I've seen truck charge that much for half that food. The coleslaw was very fresh and had a good bite to it. Highly recommended truck, high quality. Highly recommend. Ordered the Italian beef sandwich with onions, mushrooms, and garlic aioli. Absolutely delicious. 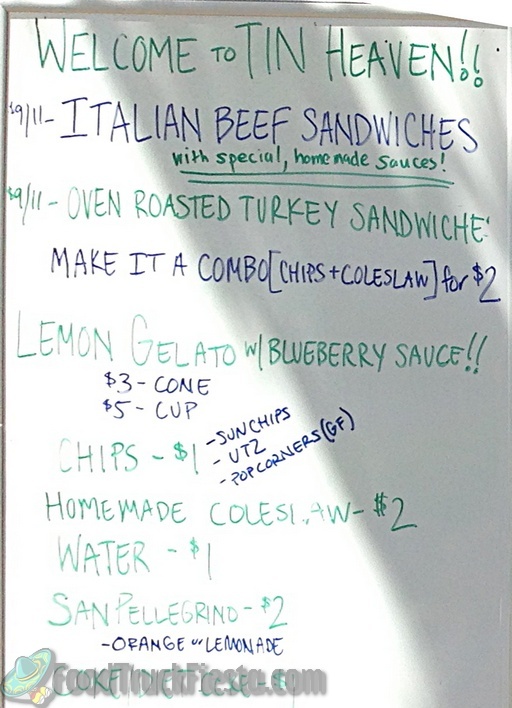 Real, Chicago-style Italian roast beef sandwiches, that I'm told are marinated overnight. The pickled veggies on the sandwich also offer a sweet and sour element to the perfectly prepared beef. 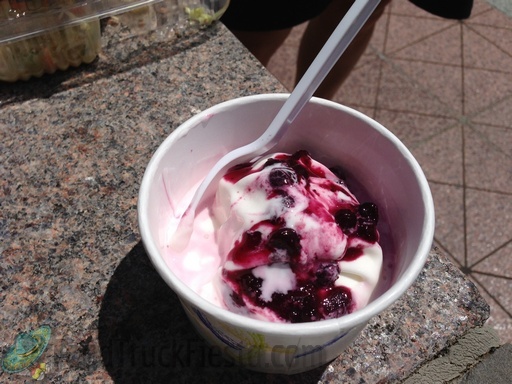 If you get lemon gelato, definitely ask for blueberry compote... perfect on a hot day! After finding this unassuming truck at the end of the row in the Union Station/Mass ave area, I was greatly surprised with the various options name after local DC landmarks. The staff was friendly and the food fresh to order. My first impression of this new truck was off to a great start! I loved that they had suggested sandwiches but also the ability to create your own (as many trucks won't customize your order). I ordered a classic with sambal and was very impressed. The meat is perfectly cooked with a light au jus. The combination and complexity of flavors was astounding. I'm a bread snob with sandwiches and this was some incredible bread. Looking forward to many more meals here and trying more options. 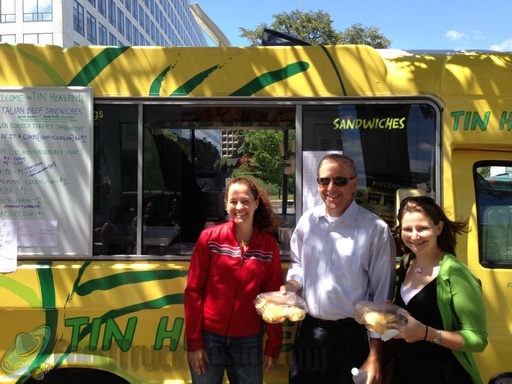 Quite possibly the most friendly food truck in DC--love having someone out front taking orders. What a great sandwich on a homemade roll and the rosemary au jus was super. Absolutely, positively, without fail-- order a gelato. Perfect ending to a great meal. 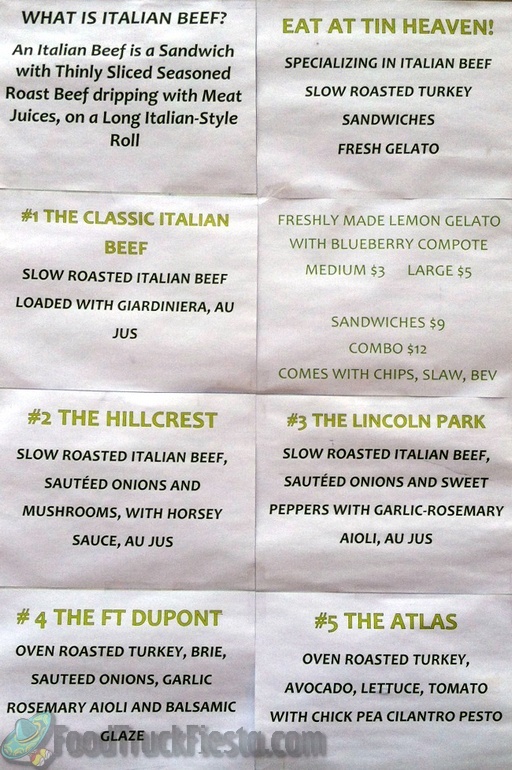 Tin Heaven serves savory roast beef sandwiches and tangy lemon gelato in Washington DC. They launched on August 12. Photos kindly provided by Dan – thanks!